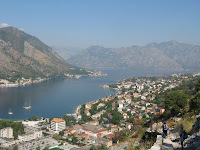 I just returned from Montenegro's Bay of Kotor -- a dramatic landscape of craggy mountains and turquoise waters. A land where the early morning sun brushes across the towering peaks, painting a luminous broad swath across the rough limestone surface. Where the black veil of night is streaked with a zig-zag glow from the string of Kotor's medieval battlements that are lit up along their length as they snake up the steep slope. On this trip with Ramblers Worldwide Holidays, turning a corner along many a bay brings a surprise. While I spent most of my time hiking the rocky slopes covered with fragrant macchia, oaks and conifers, the magical waters were almost always within view. And then there were those few excursions onto the mirror-like watery surface itself that brought more discoveries. Perast is just one of several gems in the necklace of towns along the Bay that's often referred to as a fjord, but, in fact, geologically it isn't since glacial activity were not responsible for its formation. This Baroque village, a UNESCO World Heritage Site, is most heralded as the birthplace of some very well-regarded sailors. With the rise in prosperity in the 17th and 18th centuries, maritime captains established themselves in palaces and villas, some which remain today, converted into houses, accommodations -- such as the Hotel Admiral, restaurants (like the Per Astra Restaurant) and even a museum. 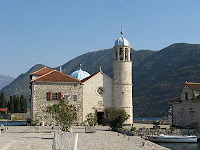 The offshore twin islets, St. George and Our Lady of the Rock, add to the allure of Perast. Taking a ferry, we motor out towards the wee rocks, seeing the tall, monolith-like cypress trees encircling a 12th century Benedictine monastery on St. George, where the abbey was destroyed in an earthquake. Amazing photos... This place looks incredible. Hi Steve, thanks. Glad you liked 'em. Wish I had more time. That Bay is really pretty sweet. How beautiful. I love your travel stories, photos and hidden treasures you find along the way. Hi Jane, Thanks, much. I'm so happy that you enjoy reading my posts. Thanks for the ultra-interesting tour and beautiful photos! The blues are incredible; I'm sure even more so in person. What a story to end with. Your trip sounds fascinating. What sort of food did you eat during your stay? Hi Sheryl, Yes, the natural scenery was so gorgeous that I couldn't stop looking around, which is a problem when you're trying to stay upright on a narrow, rocky trail. Hi MyKidsEatSquid, I have to say that I didn't love the food I ate when I was with the group. But when I did exploring on my own, I found some lovely cafes serving tasty seafood, including risotto with octopus and shrimp; and a pizza with tuna and capers. Looks like an enchanting place to visit! Loved the island monastery. So many opportunities for photographs!! Those pointy trees are wild. Hi Judy, I loved it that the island is so easy to get to. Hi Roxanne, I loved those cypress trees, too. gorgeous! 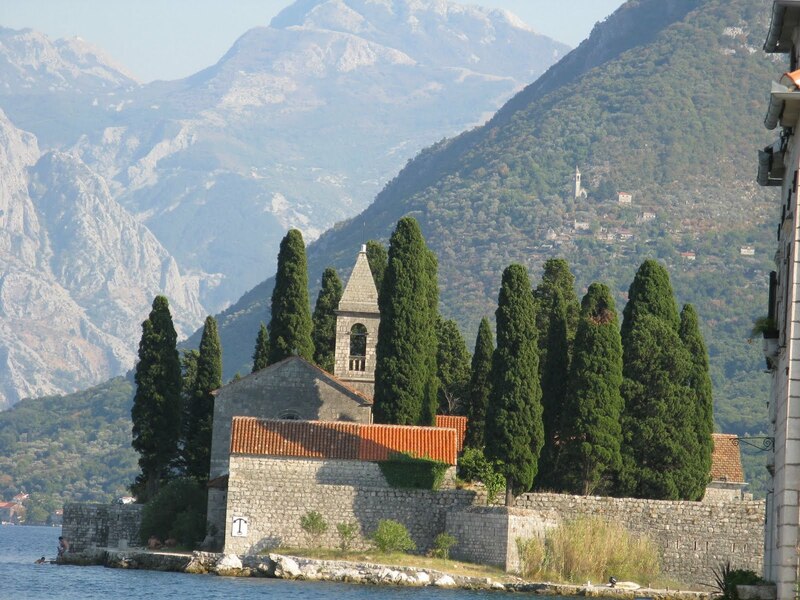 Who knew all of this was tucked away in Montenegro? Hi Casey, I know. So surprising. 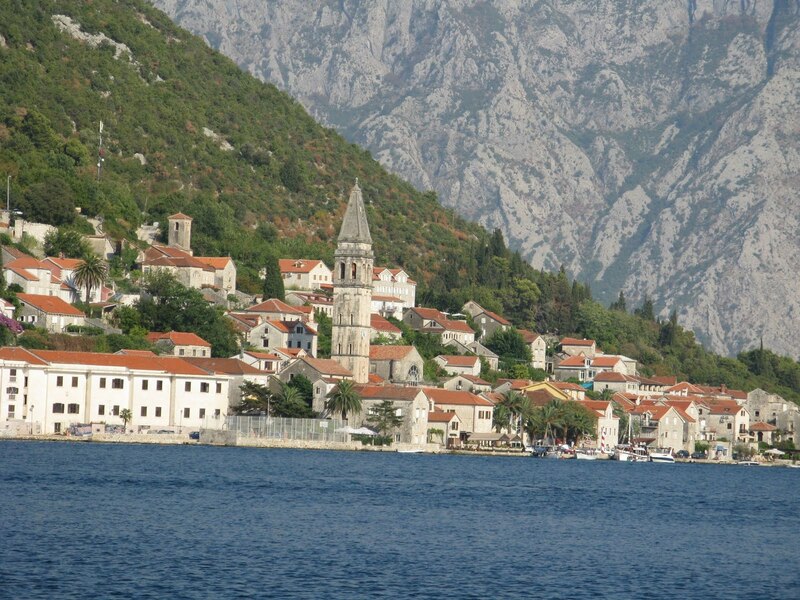 And this is just a tiny snapshot of the beauty I experienced in Montenegro. Stunning photos. These places are so interesting and full of enchanting spirit! Hi Nicol, For me, Montenegro is synonymous with enchantment. Glad you enjoyed my photos. Lovely photos, they put you right there. This looks like a wonderful place! Gorgeous photos...wow! I have never been but would love to see a place so lovely. 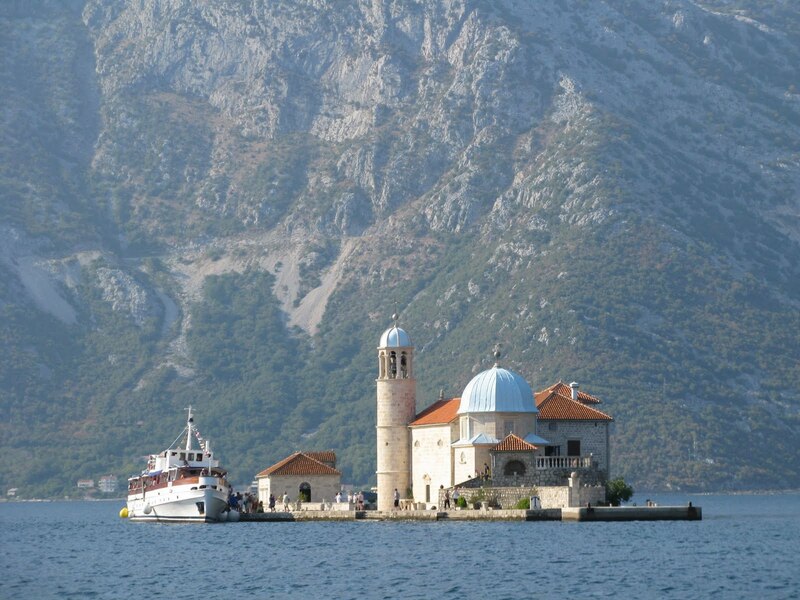 Montenegro has this special magic that is cast on everyone who sets foot there. Beautiful and fresh in every aspect! Hi Living Large, thanks and I'm glad you enjoyed my photos. Hi merr, I appreciate your comments. 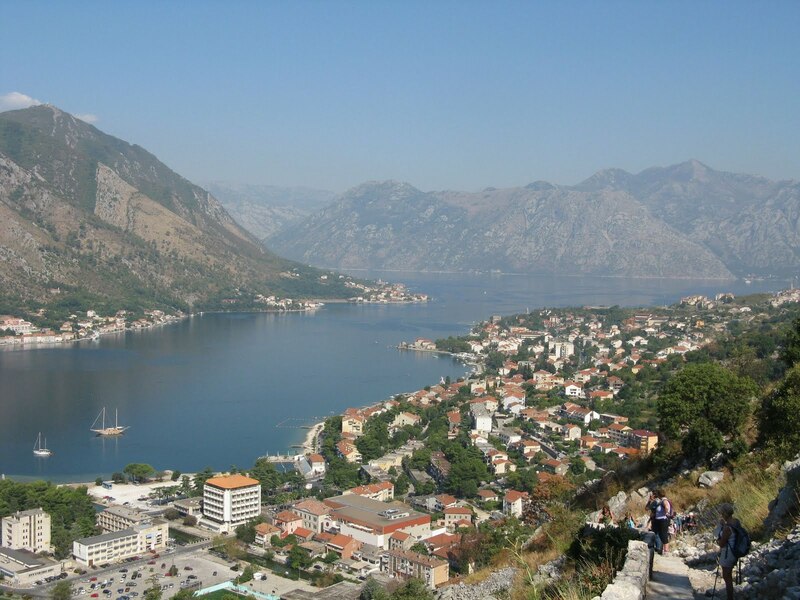 Kotor Bay is an amazingly beautiful part of Montenegro. It's hard not to take great shots there. Hi Kendice, Yes, I totally agree with you. It is a magical place.